MOSCOW, January 17. /TASS/. Seventy-five years ago, on January 18, 1943, the Soviet troops broke the blockade of Leningrad (currently St. Petersburg) in the course of the Iskra strategic military operation during the Soviet Union’s Great Patriotic War against Nazi Germany. Leningrad is the sole large city in the world’s history that withstood almost 900-day encirclement. The seizure of Leningrad during the 1941-1945 Great Patriotic War was one of the German command’s most important strategic and political tasks. 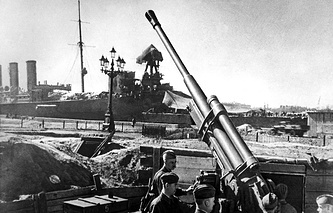 The siege of Leningrad started on September 8, 1941 and lasted 872 days. On September 10, German Luftwaffe pilots bombed and burnt the city’s warehouses, as a result of which Leningrad was left without considerable food supplies. Gradually, fuel and water reserves were used up in the city and the supply of electricity and heating was halted. Hunger swept the city in the autumn of 1941. Rationing was introduced in Leningrad to provide residents with food. The bread rations had dwindled to 250 grams a day for workers and to 125 grams for the rest of the population by November 20, 1941. During the blockade of Leningrad, the German pilots dropped over 107,000 incendiary and high-explosive air bombs and more than 150,000 artillery shells and about 10,000 buildings and structures were destroyed. Despite the blockade, over 200 enterprises continued to work in the city, including seven shipyards that built 13 submarines. 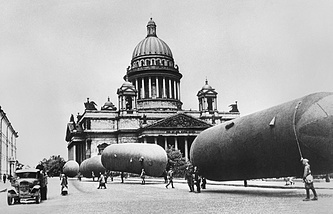 The industry of besieged Leningrad was producing 150 types of military products. Overall, during the years of the blockade, the Leningrad enterprises produced about 10 million shells and mines, 12,000 mortars, 1,500 warplanes, rolled out and repaired 2,000 tanks. Despite bombings, theatrical and musical performances were held in the city in 1941-1942. In March 1942, the traffic of trams restarted in the city and on May 6 the first football match took place at the Dynamo stadium on the Krestovsky Island. From September 1941 to March 1943, supplies into the besieged city were brought via the sole military strategic transport route running across Ladoga Lake. During navigation periods, supplies were brought by water and when the lake was frozen they were delivered by vehicles across an ice road. The ice route called by Leningraders ‘The Road of Life’ started operating on November 22, 1941. It was used to deliver ammunition, armament, food and fuel, evacuate ill and wounded people, children, and also the equipment of factories and plants. Over the time of its operation, about 1,376,000 people were evacuated and 1,615,000 tonnes of cargoes were transported via the Road of Life. On January 12, 1943, the troops of the Volkhov and Leningrad Fronts launched an operation code-named Iskra and aimed at routing the grouping of German forces south of Ladoga Lake and restoring Leningrad’s land connection with the rest of the country. On January 18, 1943, the Volkhov and Leningrad Fronts broke the city’s encirclement with the support of the Baltic Fleet and restored its land connection with the rest of the country. On the same day, the Soviet troops liberated the Shlisselburg fortress city and drove the enemy away from the entire southern coastline of Ladoga Lake. Railway and auto roads were laid across the resulting corridor during 17 days and already on February 7 the first railway train arrived in Leningrad. On January 14, 1944, the troops of the Leningrad and Volkhov Fronts and the 2nd Baltic Front launched the Leningrad-Novgorod strategic offensive. 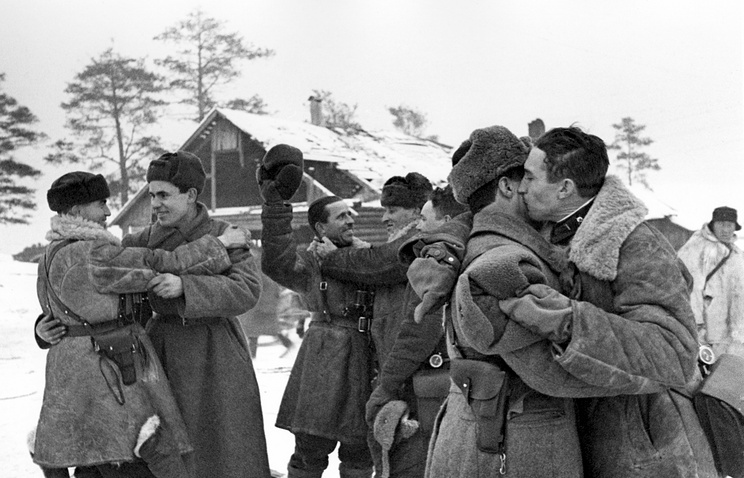 On January 27, 1944, Leningrad was fully liberated. A salute of 24 salvos was given from 324 artillery guns in the city in honor of this victory. This was the sole salute during the years of the Great Patriotic War that was held in a place other than Moscow. No more than 800,000 residents were remaining in the city by the end of the blockade out of the 3 million people that had lived in Leningrad and its suburbs before the blockade. According to various estimates, from 641,000 to 1 million Leningraders died as a result of hunger, bombings and artillery shelling. Almost 34,000 people were wounded, 716,000 residents were left without shelter and 1.7 million were evacuated across the Road of Life and by air in 1941-1942. In December 1942, the medal ‘For the Defense of Leningrad’ was instituted. It was conferred on 1.5 million people, including Leningrad residents and combatants who took part in the city’s liberation. On May 1, 1945, the order issued by Supreme Commander-in-Chief Joseph Stalin mentioned Leningrad among the first hero cities. January 27 is annually celebrated in Russia as the Day of the Full Liberation of Leningrad from the Nazi Blockade. According to information of the St. Petersburg administration, 102,400 residents and defenders of the blockaded city lived in St. Petersburg as of January 2017. About another 30,000 people who had lived through the Leningrad blockade resided in other cities and countries.